When it comes to career paths with plenty of opportunities, the possibility of a lucrative salary, and plenty of upward mobility, there are few that really compare with becoming a forklift operator. You’ll have job opportunities in an incredibly wide range of industries, with companies large and small, all across the nation. However, in order to start this path, you’ll need to take and pass forklift certification classes. Not sure what’s involved, what you will have to do, or even why these classes are needed? We’ll walk you through everything you need to know below. 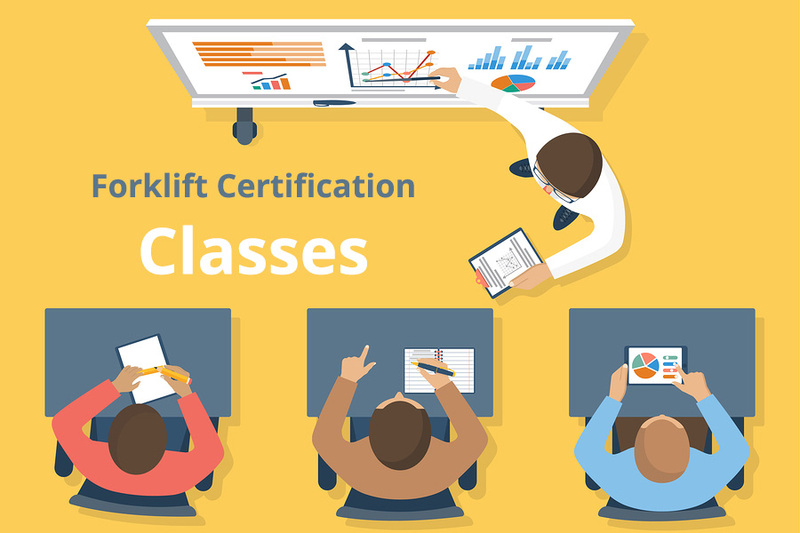 Why Are Forklift Certification Classes Necessary? Forklift training is necessary for many reasons, but one of the most important is safety. Forklifts are heavy equipment. They can cause immense amounts of damage to other vehicles, products and merchandise, and building structures. They can be deadly, as well. 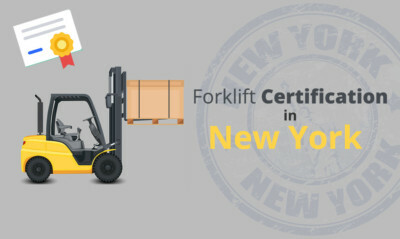 Like many other professionals, forklift operators are required by law to be trained and prior to operating a forklift. 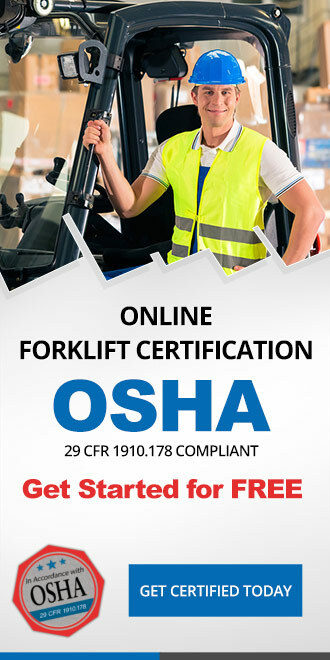 OSHA spells out the requirements for forklift certification classes. In their guidelines, it is stated that all training is the responsibility of the employer. This means that, ultimately, it is up to your employer to ensure you receive training before you are allowed to operate a forklift or other related piece of equipment. In addition, OSHA requires training in a couple of other cases. Re-Certification – As mentioned, forklift operators may be required to retrain every three years, depending on your jurisdiction. This ensures that you remain up to date with safety requirements and practices, but also familiarizes you with any new technology that might have come to market since the last time you took these classes. Refresher Training – Refresher training is mandated by OSHA in the case of an accident or injury caused by a forklift operator, or if you have been seen operating a forklift in an unsafe way. It is also necessary if you are assigned to operate a truck that you’ve not been certified on yet, or if something within the work environment changes enough that it would require refresher training (new hazards, new physical features, etc.). You’ll find that forklift certification classes are broken into two components. First, you have the actual classes, during which you will learn the knowledge and skills that you need to be a successful operator. The second segment involves an in-person performance evaluation. We’ll talk about both of these segments in greater detail below. The first component of training is broken down various topics. The second component with forklift certification classes is your in-person performance evaluation. Note that this should be done on the employer’s premises, and with an employer-designated instructor or observer (a hiring manager, warehouse manager, etc.). When you begin considering forklift certification classes, you’ll find that there are two types available – in-person classes that involve a classroom environment, and online classes that allow you to take the course and related tests from any Internet-connected device. Online classes are the most flexible and offer the ability to go at your own pace. They’re also much more affordable for both job applicants (free until you print the certificate at the end), as well as for employers, who can purchase courses ahead of time, and then assign them to employees as necessary. Not sold on the idea of online forklift certification classes? There are quite a few other benefits that cannot be found with in-person learning. For instance, you may have an entire year to complete your course once you begin. That ensures you can work each class into your schedule without sacrificing personal time or work. Employers gain the benefit of knowing their employees and new hires are going through OSHA-compliant training without having to create their own in-house training program, resulting in huge time and money savings. As you can see, there’s a lot that must be covered in forklift certification classes. An online course from a reputable training provider offers convenience, flexibility, and cost savings for all involved. 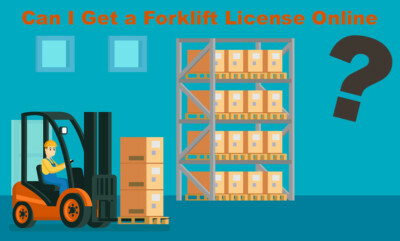 Free Forklift Certification – Is it Worth Your Time? Forklift Jobs – Considering Becoming a Forklift Operator? OSHA Forklift Safety: What are the Rules and How Do I Comply?